Nike Breathe fabric helps you stay dry and cool. Paris Saint-Germain home colors, woven crest and flexible colored side tape show your PSG pride. 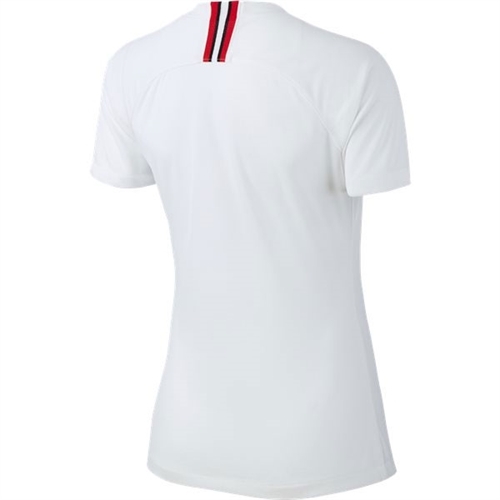 Inside of the neckline is taped for comfort. 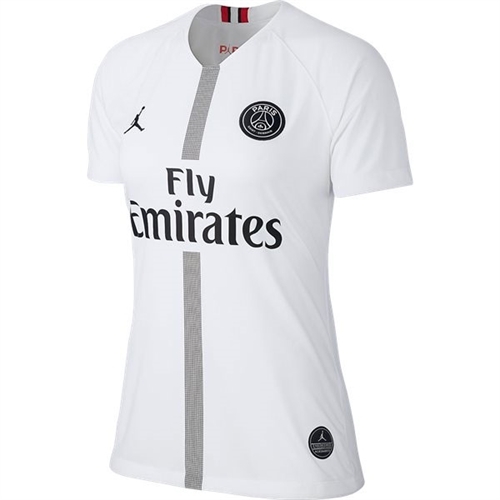 Our Jumpman PSG Women's Third Jersey 2018-2019 brings together two of the biggest brands together. Featuring the jumpman logo with PSG designs, this jersey is the first of its kind. Basketball and soccer meet for the first time in this years PSG champions league jersey.